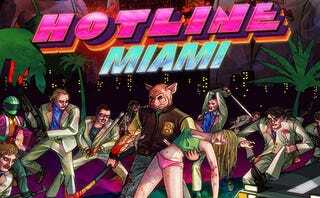 Hotline Miami is probably one of the rare gems in gaming, that came out of nowhere but took the gaming community by storm. It was a bold new game that seemed to reference to games, like Hitman and mixed it with the violence of Manhunt. That brutal, and surprisingly fresh mixture worked wonders for this title, and it grew famous on PC, literally overnight. So after all the attention it got on PC, this game finally makes its way to the PS3/VITA, and let me tell you right from the start, that it is nothing short of addictive and is the full package, even on vita.